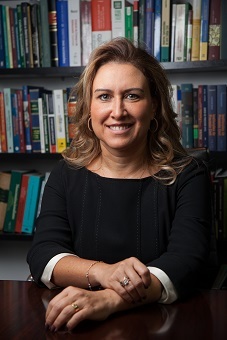 Specialist in Civil Law, from the Universidade Cândido Mendes School of Law – 2002. MBA in Economic and Business Law, from Fundação Getúlio Vargas – 2000. Bachelor of Law, from the Universidade Federal do Rio de Janeiro School of Law– 1998. Founding partner of Santos Bevilaqua Advogados. Insurance, Reinsurance, Supplementary Pension Fund and Healthcare Partner at Demarest Advogados – 2012 to 2015. Head of Legal and Compliance at RSA Seguros – 2005 to 2012. Head of Legal Department at AXA Seguros – 2000 to 2005. Listed in the main rankings and Best-of lists in insurance and reinsurance, such as: Advocacia 500, Legal 500, Latin Lawyer and Expert Guides.